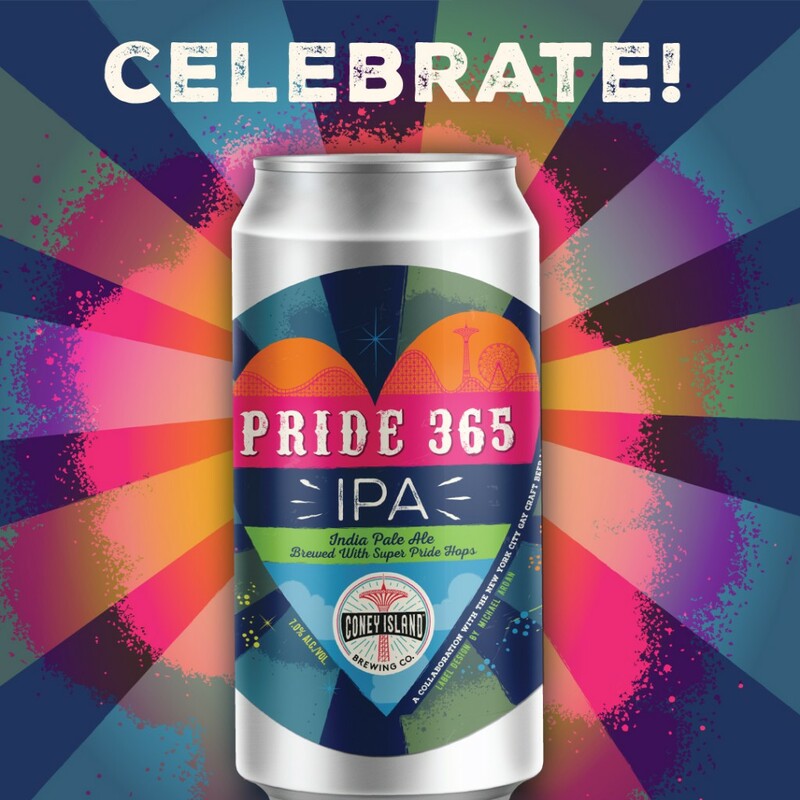 We’re excited to announce that we’ve teamed up with the New York City Gay Beer Lovers Meetup group to bring you a new beer collaboration; introducing Pride 365 IPA! The idea was born when the GCBL group hosted a Meetup at the brewery last year. Our team and the group hit it off right away and we got to talking. We thought, what better way to celebrate LGBTQ Pride every day of the year than with a special beer? So we worked together on recipe development, collaborated with Michael Ardan, a designer in the group, to create the label, and on July 8th we’ll be rolling up our sleeves and brewing together. The beer itself is a Hazy IPA featuring Super Pride, Mosaic, Galaxy and Loral hops that have tropical fruit aromas of pineapple, melon, guava and papaya with just a touch of bitterness. The club will be brewing the beer with Matt and the crew on July 8th and we have a special can release party at the brewery scheduled for July 28th! So when you can try Pride 365? The can release is set for July 28th at our brewery on Surf Avenue and $1 from every 4-pack and pint sold* (from July 28 – August 28) will be donated to SAGE USA, an organization that provides advocacy and services for LGBT Elders and was hand-selected by the club to be the beneficiary of this collaboration. *From July 28- August 28. Maximum donation is $500. Offer valid only at participating locations displaying this offer. **From June 15th-June 24th. Maximum donation $1,000. Offer valid only at participating locations displaying this offer.